We counted the donations turned in so far and were overwhelmed by the amazing generosity of our Buri families and friends. We thank you for supporting our students! Close to 40% of students so far have participated in fundraising. That is amazing! We hope to do just a little better. We are a few thousand dollars away from meeting our goal to be able to bring Playworks to our school. Please join us this Thursday 3/3/16 at 6:30pm for our PTA meeting and Family Science Playground! We will announce the fundraising total as well as report on other school happenings. After the short meeting we'll begin our Family Science Playground event! See you Thursday at 6:30 in the MUR! Someone Special Dance! Coming Soon! **Get your Someone Special Dance tickets before and after school this week. 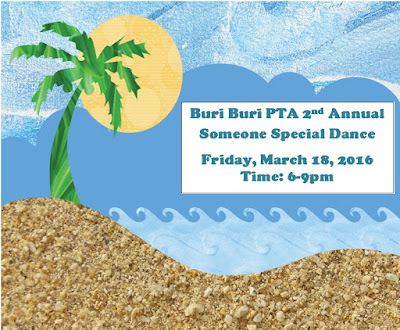 Buri Buri Someone Special Dance! Payment with order form is due Wednesday, March 9th, and may be turned into the school office or to your student’s teacher. No tickets will be sold at the door. Tickets will be delivered to your student the week of March 14th. A February federal court ruling is requiring the California Department of Education to release all personal data -- even including names and Social Security numbers -- on general and special education students since Jan. 1, 2008: more than 10 million students including your child's information. Take action now to voice your objection to releasing your child's personal information! Attn: Document Filed Under Seal. Attn: State Superintendent Tom Torlakson, Morgan Hill Court Ruling. The deadline to submit objection forms and make your voice heard is April 1, so don’t delay – get yours in the mail to the court and CDE today! Do not fax or email the form, and do not phone or message – only hard-copy forms will be accepted. It’s hard to fathom that a judge would allow such an overexposure of children’s information. While California State PTA is not part of the court ruling, we are exploring other avenues to delay, reduce or possibly reverse the release of so much of our children’s personal information. California State PTA has a long history of protecting and upholding students’ privacy rights, and today is no different. Read our media statement, and we'll keep you updated as we learn more. In April 2012, the Morgan Hill Concerned Parents Association and the Concerned Parent Association filed a lawsuit against the California Department of Education (CDE) alleging non-compliance by local education agencies with special education laws. The suit also alleges the CDE fails to monitor, investigate and correct such non-compliance in accordance with the law. While this lawsuit called for students’ general demographic information, a federal court has just ruled that CDE must release all data -- even including names and Social Security numbers -- it has collected on general and special education students since Jan. 1, 2008 – more than 10 million students. Find out more from the CDE. Read the California Department of Education's media statement. This message is being sent to all PTA members. Please share with parents, families and your school community. Parents and family are welcome to come and cheer on the walkers! 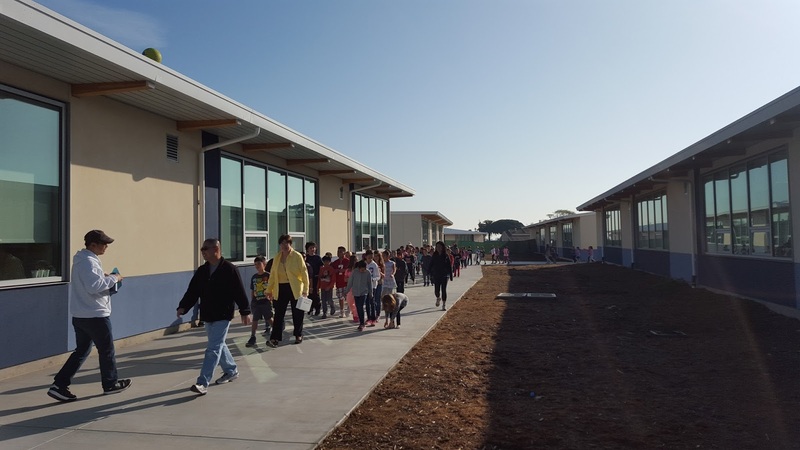 All students are invited to walk regardless of fundraising participation. In case of rain, we will walk on Monday Feb 29th instead. Your PTA is organizing the Walk-A-Thon to raise funds to bring the Playworks program to our school in the 2016-17 school year. Playworks is an amazing program that provides recess coaches who lead daily organized recess games, offer non-competitive after-school leagues, a junior coach program for 4th and 5th grades and even provide before school recess programs. Playworks programs foster good sportsmanship, teamwork and conflict resolution. 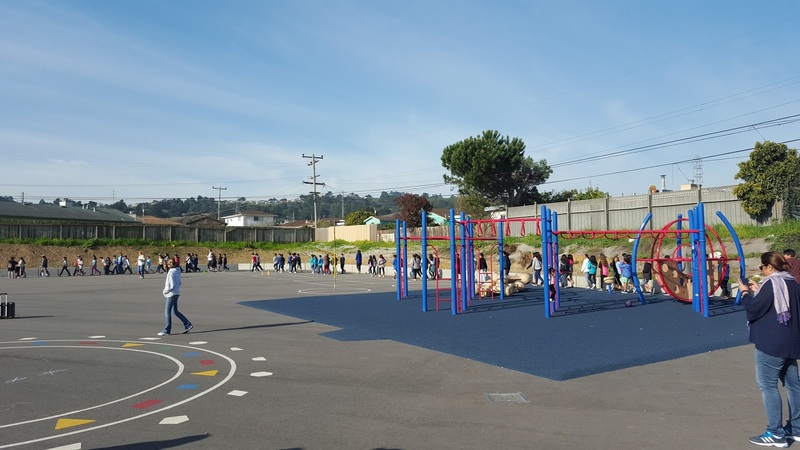 Their goal is for every student to have a great recess. We would love to bring this program to our school, especially during construction. While we patiently wait for our school to be completed, our students are sharing half the space they had prior to construction. 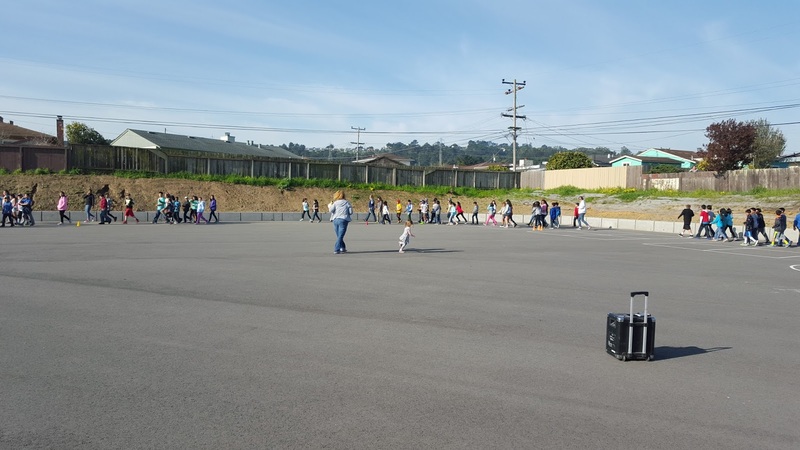 Typically more than 200 students are in the yard at a time with only have one small play structure to share. We need this program now more than ever. · If we raise $15,000 we will have Playworks at our school one week a month during the entire school year. 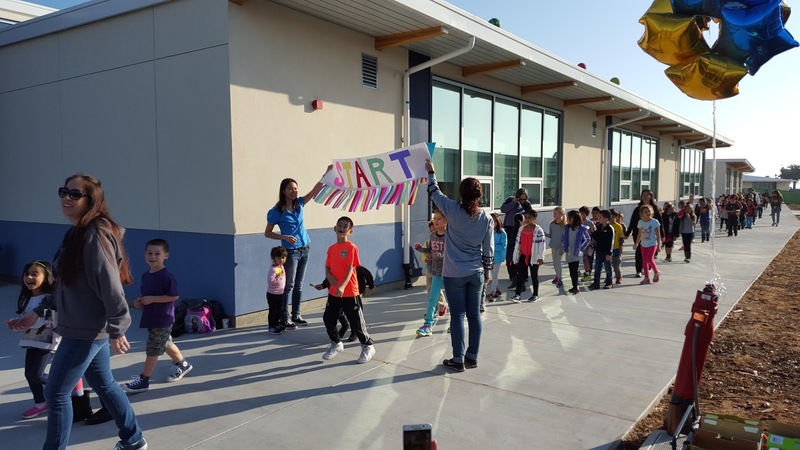 · If we raise $65,000 we can have Playworks at the school for 8 hours every day during the entire school year. Details of the full program are on our website: buriburipta.org. We hope you will generously support this fundraiser so all of our students can benefit from this great program. When you are finished fundraising, please turn in your donation envelopes to the PTA box in the office or your child’s teacher. Donations are due by February 25, 2016. This one-of-a-kind baseball-style t-shirt features royal blue sleeves and yellow Bobcat lettering. 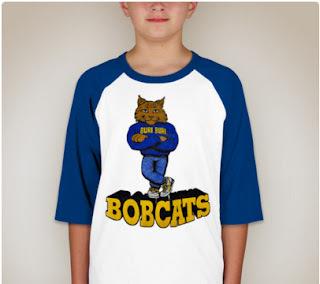 The Bobcat logo was taken from an original design from a Buri Buri sweatshirt worn by Kindergarten teacher Mr. Jones. He says it’s about 20 years old! We loved it so much we decided to bring it back for this one-time-only event. This will be your only chance to get one of these classic t-shirts as we will not include them as part of our regular spirit wear. To get one free, simply raise $75! You can then purchase additional shirts for $25 each, but you must reach the $75 donation level to qualify. Spiritwear Stickers: These stickers prominently feature the Buri Buri logo and are 4 x 4 inches in size. 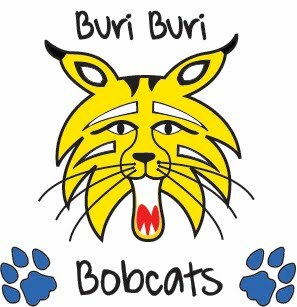 Stick them on your binder or on your backpack and show off your Buri Buri pride! Get yours free when you raise at least $20! They are awesome! Donor Honor Circles: We will thank individual and business donors on our website and in a newsletter sent home to all Buri Buri students!